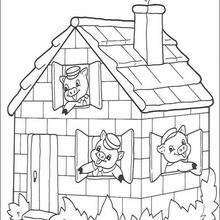 Three little pigs set out to make their own life until a big bad wolf comes along and blows the first two houses down, made of hay and sticks. 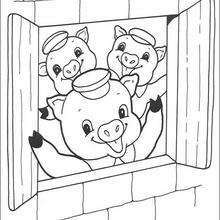 The two pig brothers run to their brother's house made of brick in hopes they will be safe there. 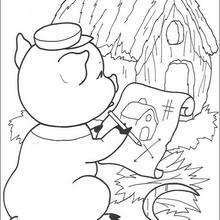 Will the wolf blow the brick house down and have the pigs for supper? 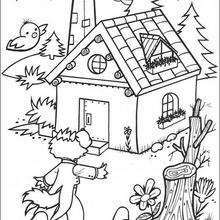 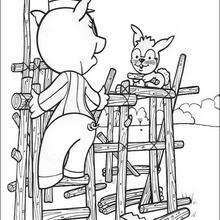 This Fiddler Building his Wood House coloring sheet can be decorated online with the interactive coloring machine or printed to color at home. 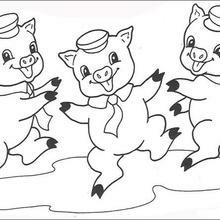 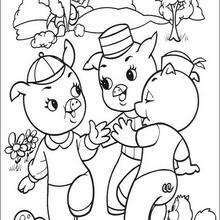 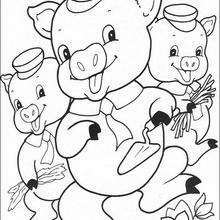 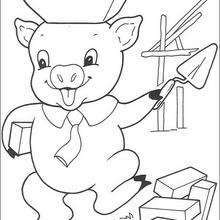 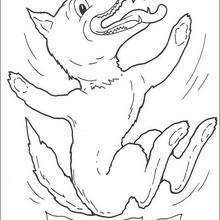 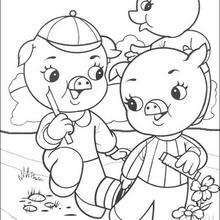 You will discover a kingdom of other Disney coloring pages, videos, and fun activities for you to enjoy from Hellokids.